When we think about challenging behaviors in autism, we realize that they are often the result of a child being overwhelmed by demands and unable to navigate the big feelings that arise in the face of the situation. When we observe a behavior at The Helix School, we use it as an opportunity to find out what the child is attempting to communicate. We investigate it on every level (emotional, sensory, cognitive) to get to the root, so that we may truly address what is going on for the child. At The Helix School, we foster in our students a sense of curiosity about their feelings and an eagerness to understand their emotional inner lives. We can't expect students to communicate about feelings if we don’t nurture this capacity within them. Through mindfulness, CBT, psycho-ed, and creative therapies, students gain not only self- awareness but also a robust sense of self with which to navigate difficult feelings and advocate for their needs. Emotional Regulation is infused into every classroom, and we also offer group, dyad and individual therapy. The social deficits and sensory challenges that occur in childen with ASD make it difficult for them engage in lively play with peers their age. It is for this reason that children on the spectrum are often found playing alone and glued to a tech device by the time they reach their teens. Play is an essential aspect of child development, as it paves the way for social capacities and symbolic thinking. Perspective taking, social reciprocity, problem solving, reading social cues, and developing empathy are just some of the milestones built upon the foundation of play. 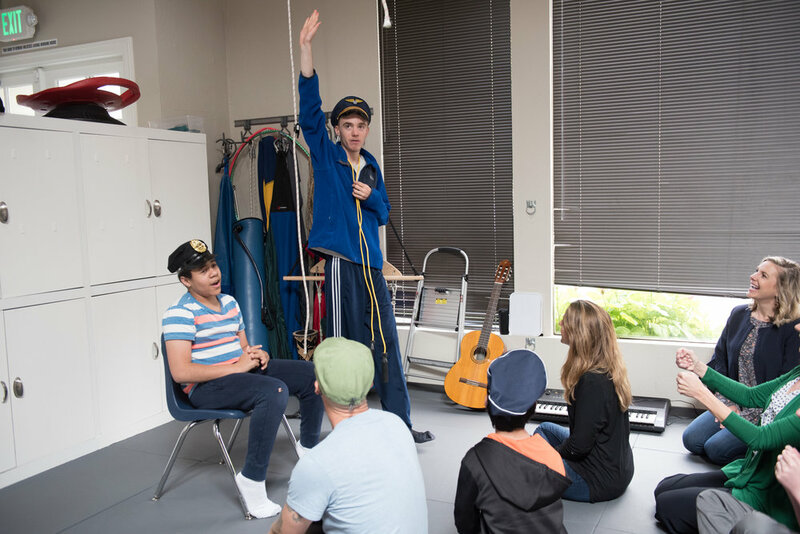 At The Helix School, we use a combination of DIR/Floortime®, drama therapy, and music to meet students at their development level and draw upon their unique interests. 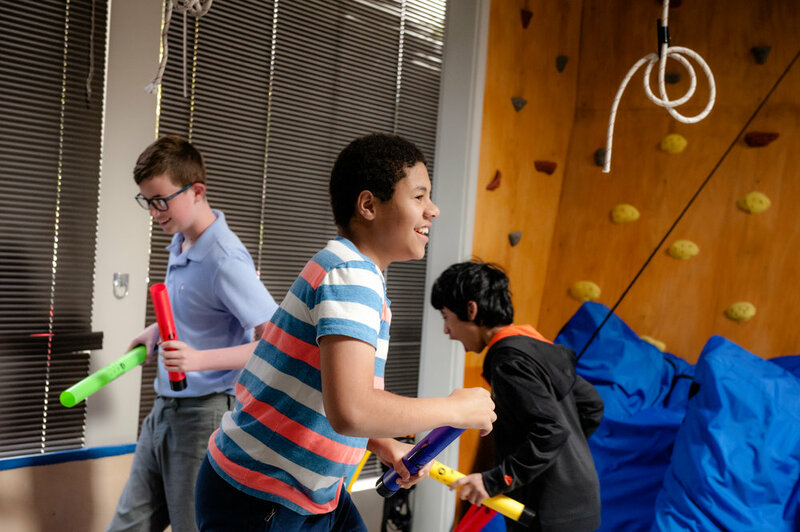 By accessing a sense of joy and freedom of expression, our students reach important social emotional milestones as they develop a budding desire and a newfound capacity for friendships.